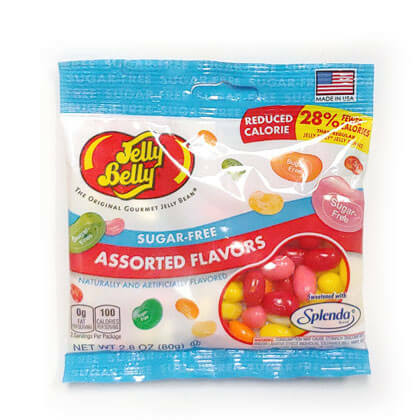 Jelly Belly sugar free jelly beans. Assorted flavors like buttered popcorn, very cherry, green apple, juicy pear, lemon, licorice, pineapple, strawberry, tangerine and sizzling cinnamon. Sweetened with Splenda. 2.8 oz bag.